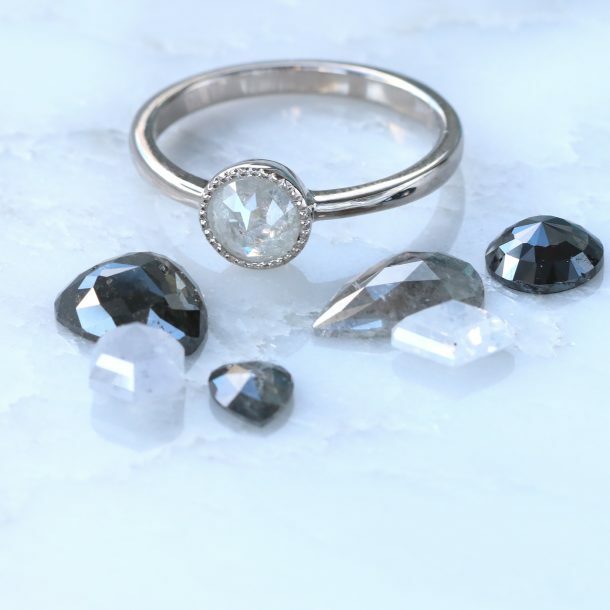 "Buying an engagement ring is one of the most important purchases you'll ever make, so finding the perfect ring in the right size can cause a lot of anxiety. 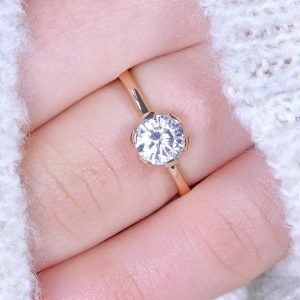 If you want to propose without the pressure, a temporary engagement ring could be the perfect solution." What is a Temporary Engagement Ring? A temporary or token engagement ring is any ring that is used to propose that will later be replaced with another. 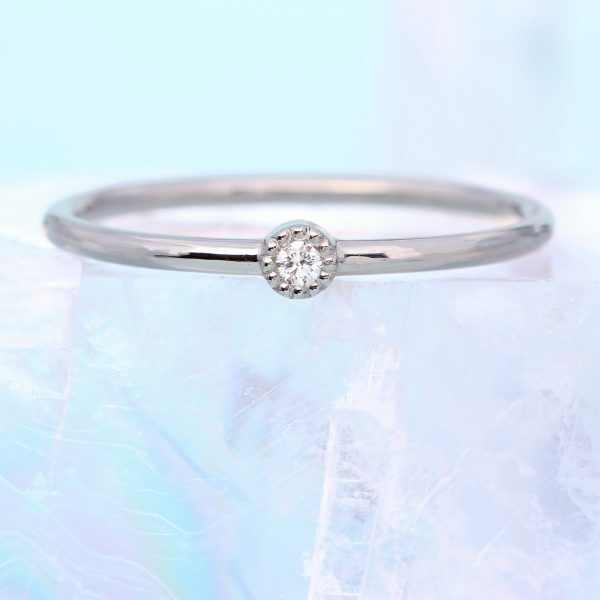 I am increasingly visited by couples who have become engaged but are yet to buy their real engagement ring, with the most popular reasons for shopping together being a fear of choosing the wrong size or style. 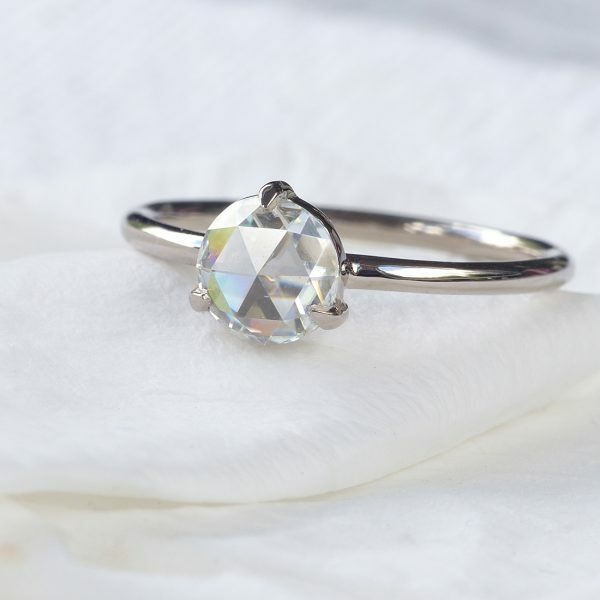 21st century fiancees and fiances are much more likely to wear alternatives to the traditional diamond engagement rings. 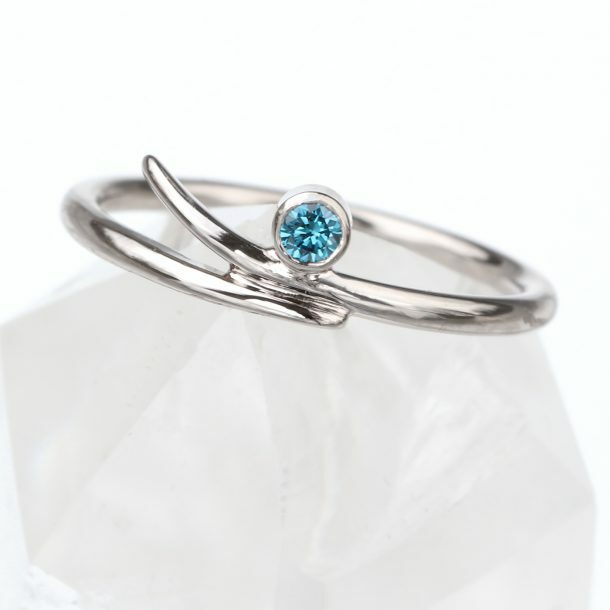 My most popular rings feature fair trade sapphires in a variety of colours, and are often purchased with tweaks to my original design. When couples choose to buy an engagement ring together, not only do they ensure that it's made to fit, the person who will ultimately wear the ring can choose the design features, metals and diamond or gem that best matches their taste. 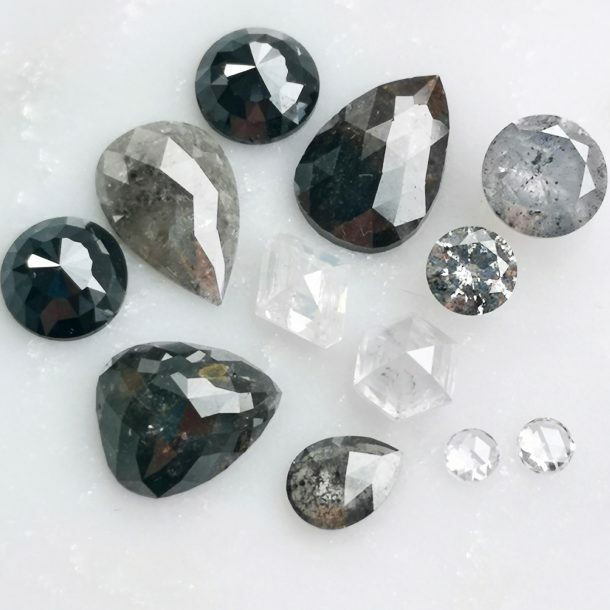 If you buy a fancy engagement ring that turns out to be the wrong size, it isn't always possible to resize it - the gemstone can become displaced or the setting can become damaged by the strain of reworking the band. For this reason, many jewellers will not resize rings set with a diamond or gemstone. Nothing spoils a proposal like being unable to wear the ring you thought would be worn forever. 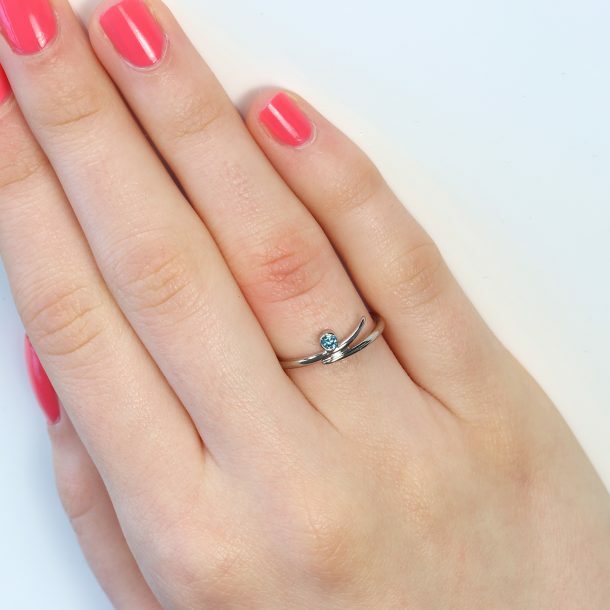 Choosing a temporary engagement ring can be cheap, cheerful and a bit of fun. It doesn't matter if your partner doesn't like it or it's the wrong size, allowing you to focus on making the proposal special with less anxiety. 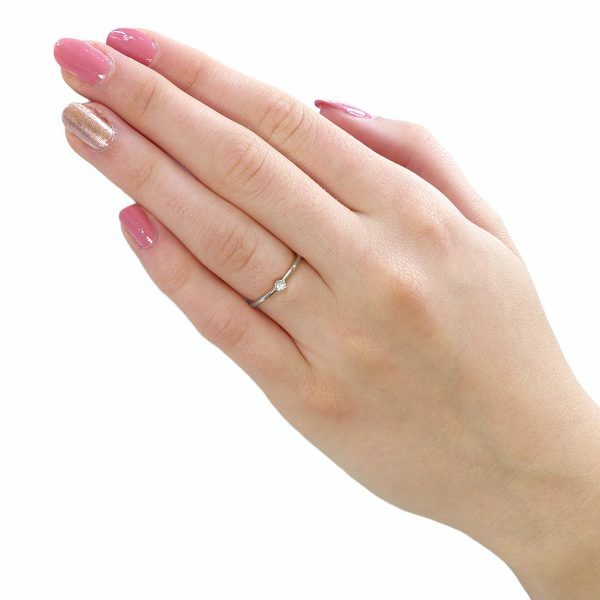 When Poundland famously launched their budget £1 engagement rings, it sparked a huge online debate; Why would anyone be so cheap as to buy these 'tacky trinkets'? 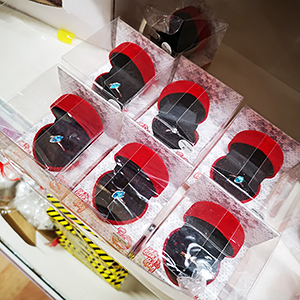 Poundland replied that their 'Bling Rings' are designed to be a 'beautiful placeholder' presented in a traditional style. Not everyone is keen on the designs but you have to admit that they're quite nicely presented in their velvet heart-shaped boxes and for £1, make a highly affordable alternative to other temporary rings. Homer Simpson hilariously proposed to Marge using an onion ring, to which she said yes! (Although she asked if she could take it off soon after as it was burning her skin). 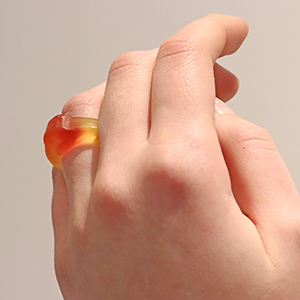 In 2012 a story circulated about a man from Ayshire who proposed spontaneously using a Haribo ring while on holiday with a partner. 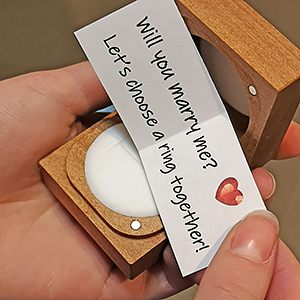 He'd actually already bought an engagement ring, but was so carried away by the romance during a visit to a possible wedding location that he proposed there and then. 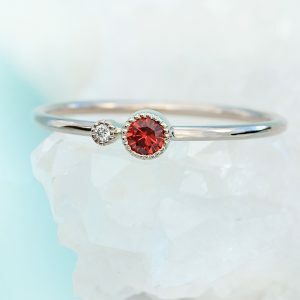 If you like the idea of having a temporary engagement ring but you want it to be a little more special, buying a dress or cocktail ring is the perfect option. Most people own a ring or two, giving you the perfect guidance for a size that fits. 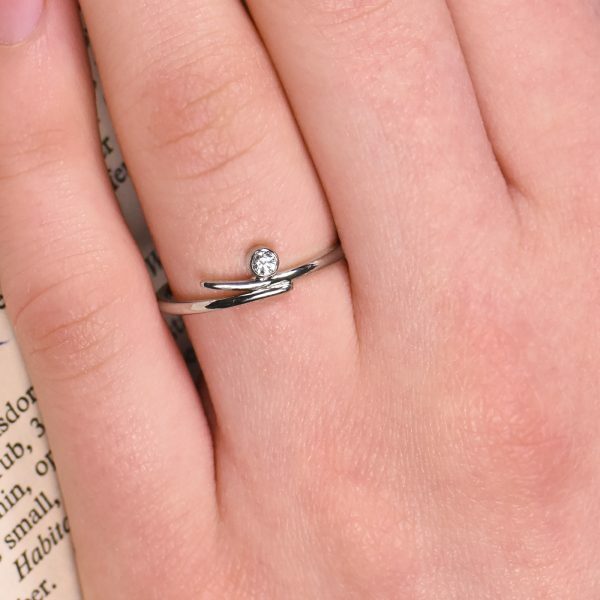 It might not be the perfect size for a ring finger, but that's actually not a bad thing given that it will be substituted by the real engagement ring. 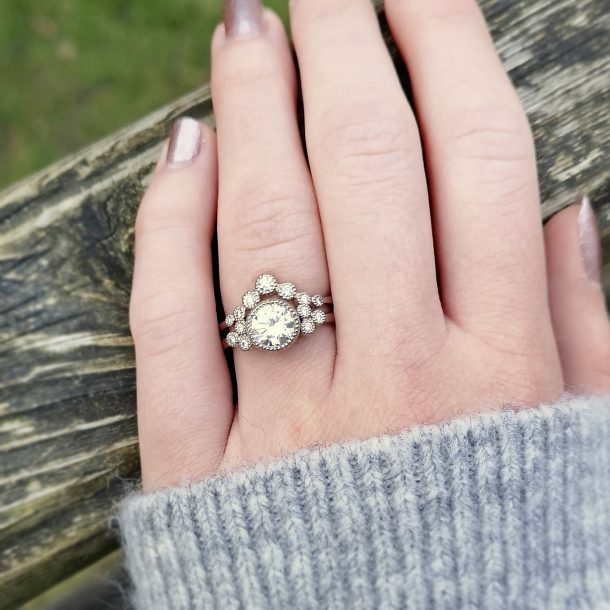 A cocktail or dress ring will remain special in its own right and when it's sized for a different finger, it can be worn even when an engagement ring, wedding ring and eternity ring are stacked on a ring finger. Although it's considered traditional to propose with some kind of ring, it doesn't mean you have to. A ring isn't what makes a proposal special, it's the thought and emotion behind the words 'will you marry me?' that makes your partner's heart skip a beat. Some of the most memorable proposals documented online are ringless, with celebrities including Emily Ratajkowski and Sonam Kapoor becoming engaged without being gifted a ring during their proposals. 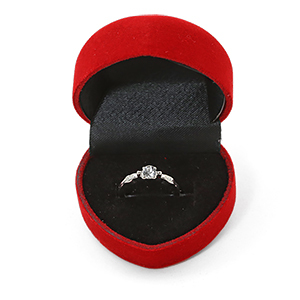 A great alternative is to buy a special ring box and to present it with a note that says you'll shop for the real ring together. 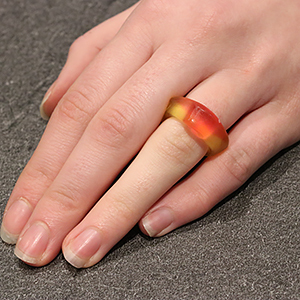 Make your note heartfelt and sentimental and it'll be every bit as treasured as the real ring is. 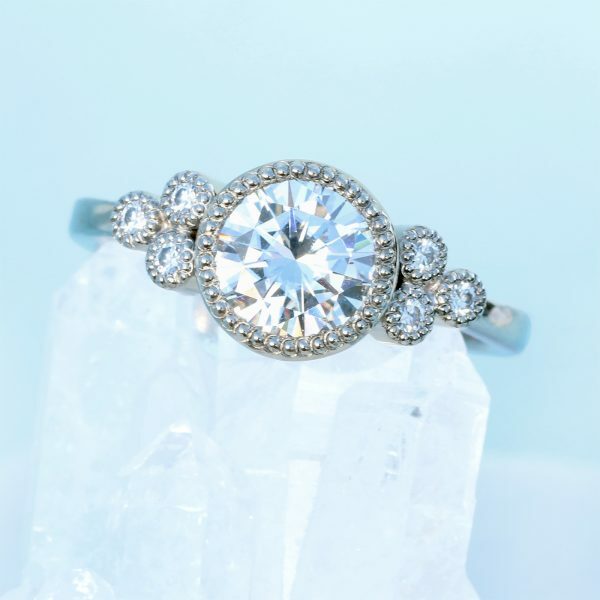 Ready to buy your real engagement ring? 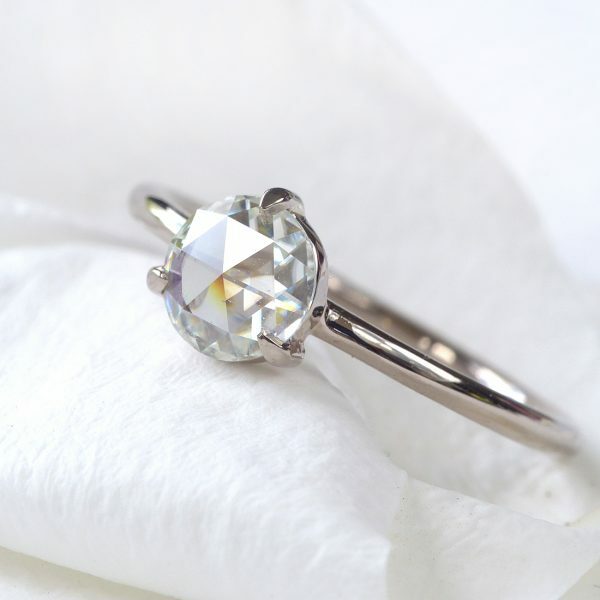 Take a look at the Lilia Nash guide to buying an engagement ring. 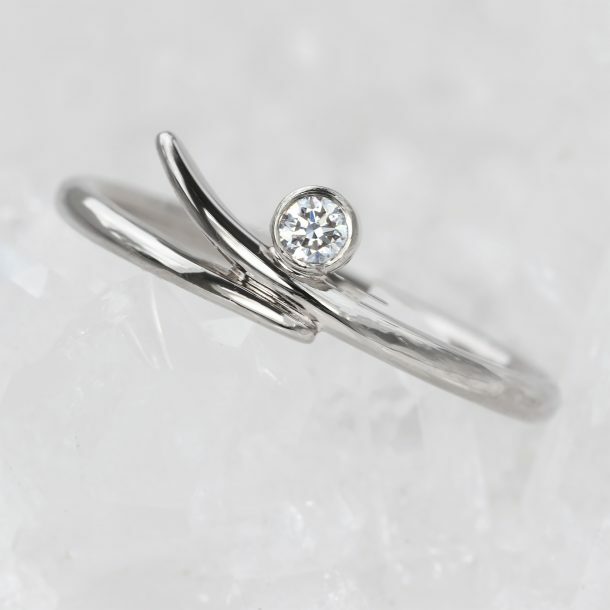 Lilia offers bespoke engagement ring design services as well as a beautiful range of made to order and in stock engagement rings that are lovingly handmade using ethical and fair trade metals, diamonds and gemstones.